The moment I first saw it in Alison Roman’s cookbook, Dining In, I was so intrigued by this “decidedly not sweet granola.” In my mind, previous to this, granola was a decidedly sweet thing. The concept of a granola recipe calling for Aleppo pepper, fennel seeds, buckwheat, and soy sauce instead of the usual suspects like dried fruit, nut butters and honey fascinated me. Now that I’m on team savory I don’t know why I ever bothered making any other kind. This strangely addicting version of granola is both nut free and gluten free, but loaded with every seed imaginable— pumpkin, sunflower, sesame, nigella, and flax seeds— made light and extremely crunchy by the addition of egg whites— I seriously can’t stop eating it. As long as you stay close to the proportions in the recipe, feel free to use more or less of your favorite seed or add in other seeds or grains you prefer. Granola is an easily adaptable thing, and that’s why this recipe is my slightly adapted version of Alison’s. I reduced the amount of sunflower seeds called for in her recipe and replaced them with more oats and a few other small tweaks to suit my preferences, but mainly what I’ve changed is the actual method of baking. In her recipe, and in most granola recipes, they call for stirring the granola around while baking to ensure the edges don’t get more crisp than the middle. But I find that breaking up the granola like this during baking makes for more loose granola—basically the texture of grape nuts—but what I want from a batch of granola are big, crunchy shards or clusters that I am free to break up into smaller chunks should I so desire. So I press my granola down onto the baking sheet and don’t disrupt it during the baking process, and this small adaptation yields big, chunky pieces of granola. 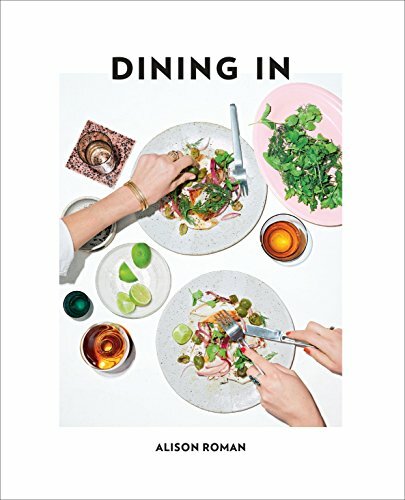 This is hands down my favorite recipe in the Dining In cookbook, which is saying a lot because the cookbook also contains the recipe for a gazillion amazing things I’ve loved making, like Chicken with sumac and olives, America’s luckiest biscuits, Roasted tomato and anchovy bucatini, or the Insta-famous cookies. Seriously, you should get the cookbook. Preheat the oven to 325ºF and line a large rimmed baking sheet with parchment paper. Don’t skip the parchment, trust me. Combine all the dry ingredients in a large bowl. Whisk wet ingredients (egg whites, olive oil, maple syrup, and tamari/soy sauce) in a separate small bowl and then pour over the dry. Combine with a spatula until everything looks wet and evenly coated. Spread the granola out onto the baking sheet, pushing it all the way to the edges in an even layer. Press it down flat with the back of an offset spatula or spoon to compact it, (like how a granola bar would look), as this will make your granola have big, crunchy clusters later. Bake for 35-40 minutes, until everything is golden brown and very well toasted. Do not stir or redistribute the granola while baking. Rotate the pan in the oven at least once, if not twice for even browning. Remove from the oven and let the granola cool completely in the pan. Once completely cooled, break up into large chunks and store in an airtight container or bag. It will stay fresh and crunchy in an airtight container at room temp for a few days, but I find that it stays best in the freezer: it maintains its original crunch and keeps much longer. Simply take a handful from the freezer stash whenever you want it and give it 5 minutes to defrost at room temp before using. Or eat it cold, straight from the freezer, like I do more often than I care to admit. *Nigella seeds (sometimes called black cumin or caraway) can be found in middle eastern grocery stores, but I find it easiest or order on Amazon. They have a really unique nutty and oniony flavor. But, if you don’t want to use Nigella seeds, you can swap in more sesame seeds instead. **Aleppo pepper is more mild than conventional crushed red pepper so please don’t swap them out for each other 1:1. Although Aleppo is wonderful and you can buy it online too, you can omit it if you’d like.